2016 Porsche Cayenne V6...Black with Black& Luxor Beige Leather Interior....Premium Package...Navigation Infotainment...Lane Change Assist...Heated Multi-function Steering Wheel...Hitch...19" Cayenne Turbo Wheels...1-Owner Porsche Lease Return and Porsche Certified! 2017 Porsche Macan 2.0 Turbo....Night Blue with Luxor Beige/Black Leather...Navigation...Panoramic Roof...Heated Seats...14-Way Power Seats with Memory...19" Macan Turbo Wheels....only 26k miles on this 1-Owner Lease Return...Porsche Certified with an extra 2 years and Unlimited Mileage Warranty after the Factory 4Yr-50k Warranty! 2016 Porsche Cayman Black Edition...Black on Black...1 owner vehicle..well maintained.. locally owned and serviced.. only 20k miles....Porsche Certified...14 way power sport seats w memory package...Bose surround system.. park assist front & rear w/reversing camera... .. PDK Transmission...Hurry! 2018 Macan 2.0 Turbo...Volcano Grety with Black Leather and Alcantara...8-way power seats...PDK Transmission...19" Macan Turbo Wheels...Lane Change Assist...Tinted LED Taillights...Navigation...Panoramic Roof...Heated Seats...Roof rails...Hitch...Sport Tailpipes...Original MSRP of $58,820....Save on this Porsche Certified Macan! 2018 Macan 2.0 Turbo...Volcano Gray with Black Leather...only 4k miles and Porsche Certified! Well equipped with Navigation....Panoramic Roof...Heated Seats....19'' Turbo Wheels...Lane Change Assist...Hitch...Roof Rails...Sport Tailpipes...Original MSRP of $58,820...Save on this like new Macan! 2016 Porsche Cayenne S-E-Hybrid....Black on Black Leather...only 25k miles on this 1-Owner Lease Return...Premium Package...Navigation-Infotainment...Power 14-Way Seats...Bose Surround Sound...Lane Change Assist...Porsche Entry and Drive...Heated and Ventilated Seats....20" RS Spyder Wheels...original MSRP of $88,230....Save on this Porsche Certified Hybrid! 2018 Porsche Macan 2.0 Turbo...Black with Black Leather...Premium Package Plus...Power 14-Way Power Seats...Porsche Connect Plus with Apple Car Play...PDK Transmission...18" Macan Wheels...Bose Surround Sound...Navigation System...Porsche Dynamic Lighting System...Lane Change Assist...Roof Rails...Hitch...Original MSRP of $60,660....Save big on this low mileage Porsche Certified Macan! 2018 Porsche Macan 2.0 Turbo...White with Black/Luxor Beige Leather...Premium Package Plus...Power 14-Way Power Seats...Porsche Connect Apple Car Play...PDK Transmission...19'' Macan Turbo Wheels...Bose Surround Sound...Porsche Dynamic Lighting System...Lane Change Assist...Roof Rails...Hitch...Sport Tailpipes...Dials in White...Original MSRP of $61,140....Save big on this low mileage Porsche Certified Macan! 2016 Cayenne S E-Hybrid...Carrera White with Saddle Brown and Luxor Beige Leather...1 owner vehicle.. Porsche Certified..only 23k miles...well optioned with Premium Plus Package...14-Way Memory Seats.. .. Bose Surround Sound.. Roof Rails...Lane Change Assist....Park Assist with Reverse Camera... Heated Steering Wheel..20" RS Spyder Wheels...Original MSRP of $94,525...Hurry on this Locally Owned and Maintained Cayenne Hybrid! 2018 Porsche Macan 2.0 Turbo....Black with Black Leather......14-Way Power Seats...Porsche Connect Plus...Navigation..Premium Package Plus...Apple CarPlay...PDK Transmission...18" Macan Wheels...Bose Sound...Lane Change Assist..Heated Seats...Heated Wheel..Panoramic Roof...Roof Rails...Hitch....Porsche Certified! Original MSRP of $60,660....Save on this 3k mile Macan! 2018 Macan 2.0 Turbo...White with Black/Luxor Beige Leather...only 3k miles and Porsche Certified! Well equipped with Premium Package Plus...Bose Sound..Panoramic Roof...Heated and Ventilated Seats...Navigation...19" Turbo Wheels...Hitch...Roof Rails...Sport Tailpipes...Original MSRP of $61,070...Save on this like new Macan! 2018 Macan 2.0 Turbo Sport Edition...Volcano Gray with Black Leather...only 3k miles and Porsche Certified! Well equipped with Premium Package Plus...Navigation...Bose Sound..Panoramic Roof...Heated and Ventilated Seats......20'' Spyder Wheels...Porsche Connect Plus...Entry and Drive...14-Way Power Seats...Hitch...Roof Rails...Sport Tailpipes...Original MSRP of $67,950...Save on this like new Macan Sport Edition! 2008 Porsche 911 Turbo Coupe....GT Silver with Black Full Leather Interior...only 24k miles on this stunning 997 Turbo! Tiptronic S Transmission...Full Leather...Rear Wiper...3-Spoke Multi-Function Wheel...and more! 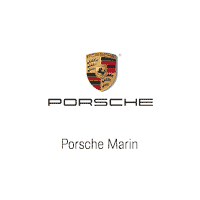 Original MSRP of $135,475...this is a great car and Porsche Certified with a 2 Year Unlimited Mileage Warranty!